At Murphy & Prachthauser, we believe in helping those who are injured as a result of negligence. I am proud to share a case study with you, which demonstrates how our team of attorneys was able to help our client receive a favorable result. Attorney Thadd Llaurado and I recently concluded a case involving an electrician client, Joseph, who was injured on the job when he fell from a ladder. His job was to install low voltage wiring on a commercial property that was going to be used as a retail store. The low voltage wiring was being used for phones, computers and a security system. Part of our Joseph’s job required working on a stepladder, where he would stand to install wiring boxes and cabling on the ceiling. The ceiling was approximately 15 feet high and required use of a 12-foot stepladder. Joseph had been working for a few days on the wiring, while other contractors, such as carpenters and painters, did their work. On his third working day at the job site, another company, employing electricians working on the AC outlets, showed up to begin their work. Their electrical work involved setting up electrical outlets that would be located in the cement floor of the retail store. To include electrical outlets in the floor, trenches had been dug months in advance. Within the trenches, there was conduit to connect the outlets and electrical boxes to connect the conduit together. When the conduit and boxes were put in their proper places, the boxes were covered with plastic covers, and then the trenches and the areas around the boxes were filled in with cement. The covered boxes stayed in place until the electrician showed up to begin the wiring. When the electrician was ready to begin work, he cut the covers off the floor outlets, creating a hole, so he could began pulling the electrical wiring through the conduits. During this time, there were still other contractors working on the job-site: carpenters, painters and our client, Joseph, the low voltage electrical contractor. As a part of his job, Joseph was required to take pictures of all the outlets he installed, including the ceiling outlets. He needed to climb the stepladder to take the ceiling photos. This involved maneuvering the ladder around beams, light fixtures and ventilation ducts, so he was looking at the ceiling as he placed the ladder. Unfortunately, one of the far legs of the ladder was placed right at the edge of one of the opened holes created by the electricians installing floor outlets. The newly opened hole blended in with the box, making it difficult to detect there was a hole nearby. As Joseph climbed the ladder, the leg slipped into the hole and caused Joseph to fall and sustain injury to both feet. 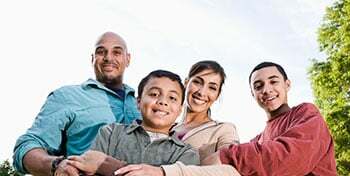 One of the fortunate things that the client’s family did was to call our office the day of the injury. We were able to send an investigator to the scene to take photos of the hole before it was covered, which was invaluable in securing a favorable result. 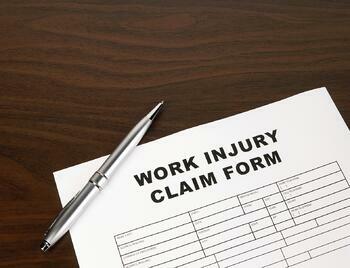 We have a great deal of experience working with individuals who were injured at work. We understand the how to determine the safety standards and how to determine if negligence was the cause of a work related accident. Through our research and findings, we were able to determine that the relevant safety standards required floor holes to either be covered, or “constantly attended”, and neither was done in this case. With the help of a construction expert, we were able to demonstrate that the electrician was negligent in uncovering the electrical boxes and was a cause of the fall and our client’s injury. Have you been injured at work? We can help you. At Murphy & Prachthauser we law the way it should be practiced – motivated and equipped to do our best for you. We take pride in being good lawyers who help people. If you have a case you would like to speak to a lawyer about, please complete a free case evaluation and get an experienced team working on your behalf.